Em Mendoza No Comments on The Pomodoro Technique: Will It Really Boost Your Productivity? If you are seriously looking for techniques that can boost your productivity, you have probably heard of the Pomodoro Technique. But is it the right system that will help you make the most of your time and energy? Will the Pomodoro Technique really boost your productivity? In the Habit book written by Gretchen Rubin, she emphasized that there is no one-size-fits all solution. A method might work for you, but not for others. And some methods might work for others but not for you. Plainly speaking, not every technique works for everyone. The purpose of this guide is to show you an honest look of what the Pomodoro technique really is and what you can expect from it. 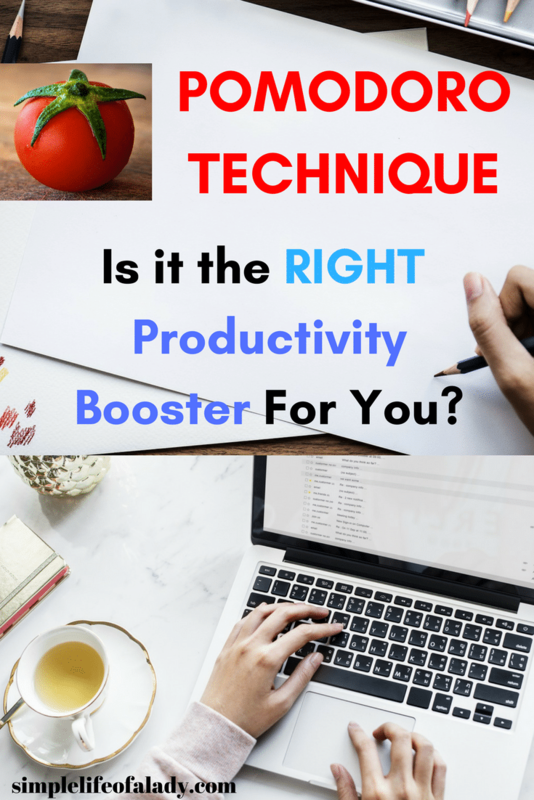 At the end, you will have an idea if this can really be effective to boost your productivity. The Pomodoro technique is named after a timer in the shape of a tomato. Francesco Cirillo developed this technique in 1992 when he was still in college. He used it as a personal system to help him study more. He used a tomato-shaped kitchen timer, hence, the name Pomodoro. The idea of the Pomodoro technique is simple. Work in 25 minutes. Then take a 5-minute break. Repeat this process three more times. Then take a longer break which usually takes 15-30 minutes. The Pomodoro technique would not have been that popular if many did not find it effective. But a lot of people proved that it works for them. When lifehacker.com asked its readers which productivity technique is the most useful to them, the Pomodoro technique got the highest votes. There are many who love multi-tasking. Others find it hard. They prefer to work on one thing at a time. But it is also hard to focus on one task for a long period of time. You have the tendency to lose interest and drift off. You can get unproductive when you keep working on the same thing for a long time. This is where the Pomodoro technique comes in. Break that long period of time into manageable sets and get a refreshing break in between. So these technique lets you work in short-time intervals, making sure that you are consistently productive. Moreover, the occasional breaks keep you motivated, prevent mental fatigue and increase your ability to concentrate. The Pomodoro technique is simple to apply. Here is the process to follow which you can also find in its official website. Set the Pomodoro (the timer) for 25 minutes. Work on the task until the Pomodoro rings. When the Pomodoro rings, put a checkmark on your paper. Take a longer break like 15-30 minutes. Now here is a rundown of why the Pomodoro technique works for a lot of people and how it can be a “game changer” for you too. 1. It forces you to focus. It makes you aware that the clock is ticking so you better get on with what you have to do or waste your precious time. 2. It prompts you to start. Especially the “tough” tasks. There will always be a task that you won’t feel like doing. Probably because you don’t like it, or you love it but you find it daunting. But it’s important to get it done. The simple solution is to trick your mind to think that you will only be doing this for 25 minutes. Honestly, this helped me to finish a task that I had been putting off for so long. So this is my favorite benefit of the Pomodoro technique. 3. You don’t feel bad taking a break. We have been so used to thinking that in order to be super productive, we need to put in long hours, without breaks. So you feel guilty when you take a break. You think that you are unproductive. But contrary to popular belief, breaks are important for optimal focus and creativity because it prevents mental fatigue. It refreshes your brain, preparing you for another set of concentrated work. If you have no breaks, you might not be as productive as you can be. The problem is that we are not used to this idea of breaks. From where we work, we dread breaks. If we take a lot of breaks we are labeled as lazy. So even if we know that this is very important, it still feels uncomfortable. We still feel guilty about it even if we don’t have to. With the Pomodoro technique, you will be REQUIRED to take breaks because it is included in the system. Taking breaks is NOT a choice. It’s a MUST. So it’s a perfect method to reverse your thinking. More importanly, breaks serve as a reward to yourself for completing 25-minute focused times. 4. It makes you aware of where your time goes. You get to track what activities you do. Because you are concentrated to finishing ONE task for 25 minutes, it is easier to determine how much time you need to spend for any task. It shows you how long you have actually worked for a day. 5. You feel better at the end of the day. Accomplishing your goals for the day does feel good. But most of us spend our time glued to our desk. Occasionally pulling away to drink water or take a little walk can help us feel even better. 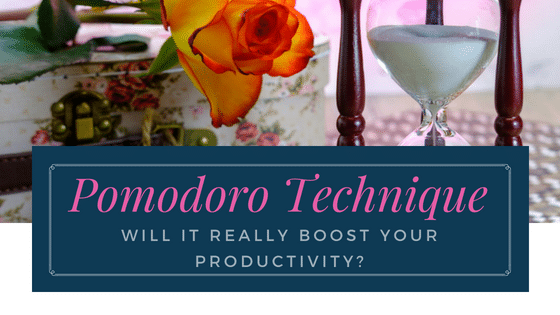 See the screenshots below to see how the Pomodoro technique has benefited others. While the Pomodoro technique is a real solution for many, others don’t find it as much helpful. Here’s what they say about it. See if you can relate with these. 1. You can’t just ignore your boss or your coworkers. This commonly happens in the workplace. You are in the middle of a 25-minute task, and then your coworker or your boss comes up with something that needs your immediate attention. While you may delay answering them (like tell them you’ll get back to them after a few minutes, say 10 minutes), this may not always happen, especially if you have a very demanding boss who needs immediate answers. 2. It doesn’t fit in to your schedule. You could be in a meeting for an hour or two. So this is just not applicable. 3. The timer becomes a distraction. The Pomodoro technique requires that you take a break after every 25 minutes of focused work. This is a very good tool to get you started. But what if you are already “in the flow”? This is when you just might not want to stop for breaks anymore. You just want to go on. And when the timer rings, you lose your concentration. It’s why others find the timer annoying. 4. Twenty five minutes is not everyone’s optimum time. Optimum time varies for every individual. And for others, 25 minutes is just too short. 5. The check mark becomes an obsession rather than a measuring tool. This happens when you just want the 25 minutes to finish so you can put a check mark on your paper. It feels really good to see check marks because these tell you that you have accomplished your goals for the day. But have you really? It always pays to be honest with yourself even if you find the truth inconvenient. If you are obsessed with seeing check marks, to the point that you want to fake it to feel good, you’re using the technique wrongly. Remember that the goal of the Pomodoro technique is not the checkmark, but to get things done. You receive a checkmark for every 25 minutes of uninterrupted work. You concentrate on your task for the sake of finishing it, not for the check mark. See the screenshots below to see why others do not prefer the Pomodoro technique. While it is true that you may not be able to use the Pomodoro technique in all situations, it still can help you in some. So here are tips to help you make the most of the Pomodoro technique. Determine which ones should be done first. This gives you an overview on where you need to apply the Pomodoro technique. 2. Use a timer that you are comfortable to work with. Mine is just an old cellphone which vibrates when the time I set is done. 3. Use the Pomodoro technique when you are struggling to begin a task. Use it at first to get you motivated. Then when you are already “in the flow”, turn the timer off and work for as long as you can. Take a break when you need it. 4. Determine whether you can apply it when you are in a meeting. If the meeting will take more than 25 minutes, don’t use it if it will only distract you. However, if you can go out every now and then, you can set it to 25 minutes. Just use your phone and make it discrete so that when the timer rings, only you will know about it. Then go out and take your 5-minute break. You could take a trip to the restroom, or take a glass of water, or check your phone for messages, anything to keep you refreshed. 5. Don’t expect it to be effective in all of your activities. Observe what happens when you apply it. It may work for some tasks, but not for others. In this case, use it only where it is effective. Remember that Francesco Cirillo used it the first time to get more studying done. He applied it to ONE specific task only – studying. So don’t force it on those activities where it doesn’t work. Be aware of your working patterns. What is your optimum time? For how long can you work without losing your concentration? How do you feel after a period (like 30 minutes or one hour, etc.) of concentrated work? What keeps you refreshed and motivated? I have been applying the Pomodoro technique since I learned about it (last March). I commonly use it in these top three activities. 1. Writing – I used it to write this blog post. In fact, I use it every time I write a blog post. 2. Washing dishes – It guides me to spending only 25 minutes in washing the dishes and cleaning the kitchen. 3. Pinterest – When I’m making my own pins and when I’m pinning other people’s content. I often lose track of the time when I’m pinning. The timer really makes me aware of how much time I’ve already spent in pinning. Coz I find Pinterest really addicting. If I don’t have a timer, I might spend all my time in there! By the way here’s my Pinterest URL. You can find lots of tips in there about organization and productivity. Don’t forget to check it out and pin your favorites! That being said, has the Pomodoro Technique helped boost my productivity? I’m typically a person who always needs a little push to start working. So the most important benefit of the Pomodoro technique for me is it forces me to start working. I also have the tendency to jump from one task to another. And I end up not finishing anything at all. Using the Pomodoro technique, I am forced to really focus on just one task at a time until I finish it. So this technique really helps me in getting more important things done. I need frequent breaks too because I easily feel tired when I’m working for too long (like an hour). Before, I’d write for 30 minutes to one hour, and then there would be no more words coming in. But when I take a break, then go back after that, the words seem to come easier. I find that pulling away from the computer, drinking a glass of water or going outside for a few minutes keep my mind refreshed and ready for the next Pomodoro. So I really appreciate its breaks. Is the Pomodoro technique worth it? Will it be effective for you? Or will it just be another technique that just doesn’t work? When I first learned about the Pomodoro technique, I tried it immediately because I knew that I was not really being productive. I was not finishing anything at all. I felt like I was doing eight hours of work everyday, but judging by the results that I produce, I knew that that wasn’t true. So I wanted to know how productive I am really during the day, how much time am I really doing concentrated work. Perhaps I was just spending too much time on almost everything? That’s when the Pomodoro technique proved to be the real solution I was looking for. So how do you know if this will work well with you or not? I’d say give it a try. If it doesn’t, don’t force it. And don’t freak out. As Gretchen Rubin often said in her Habit Book, not every solution works for everybody. So whether the Pomodoro technique works for you or not, remember that time is still your ally. It’s not an enemy that you should race against. Befriend time. Work with it. How did you find this article? I’d love to hear from you. Hit the comments below! If the image doesn’t work, click HERE to sign up.